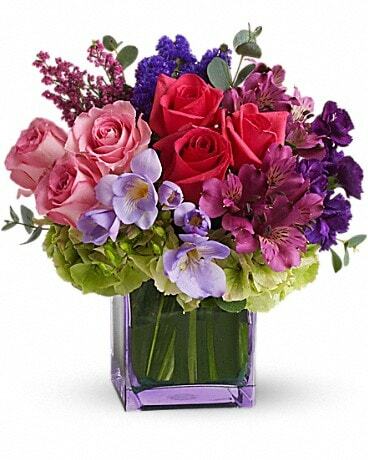 The essence of femininity. 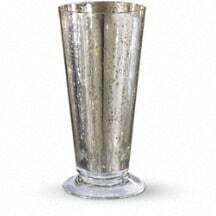 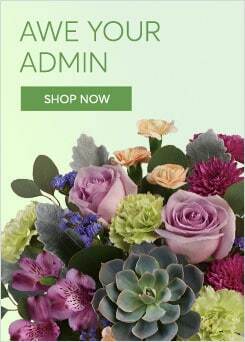 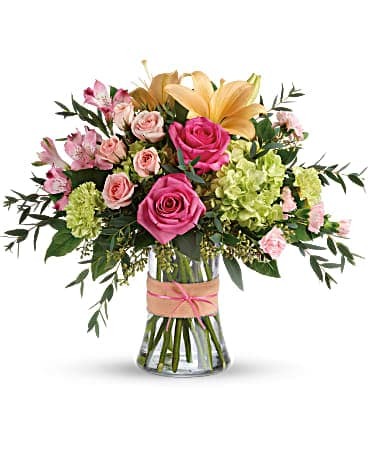 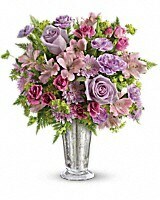 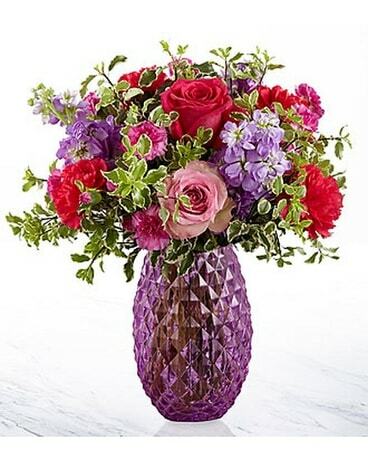 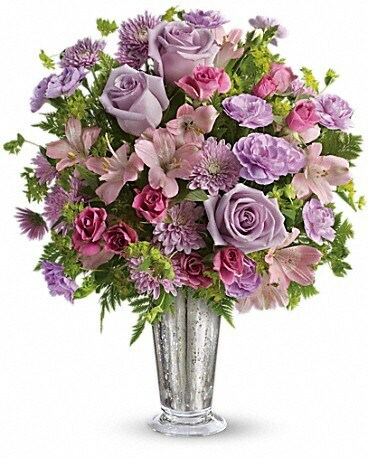 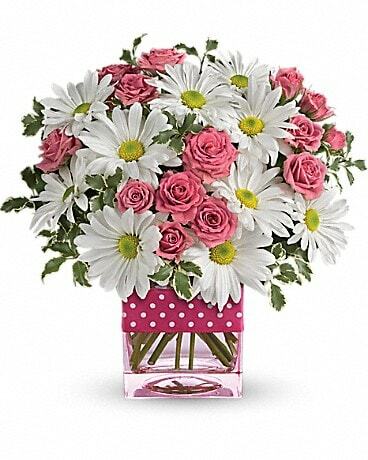 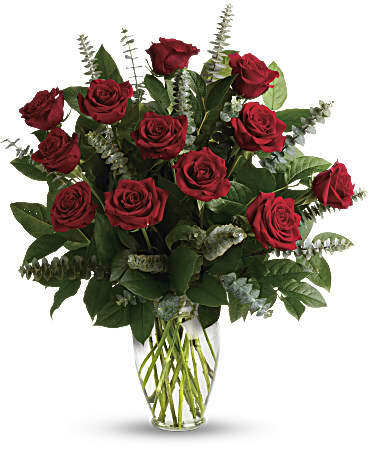 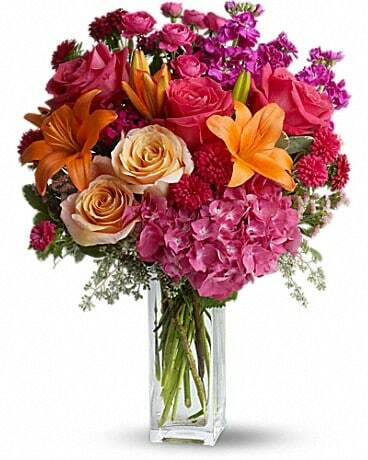 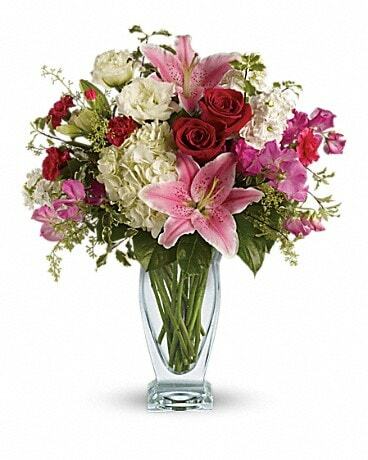 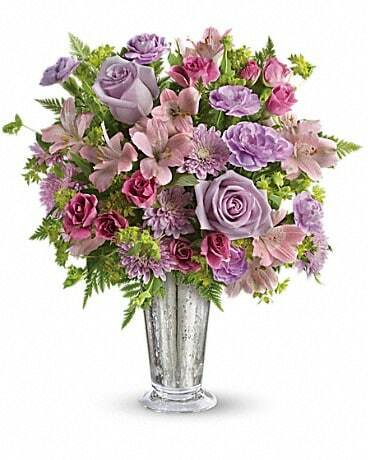 Delight her with flirty-fun lavender and pink blooms presented in a silver julep vase. 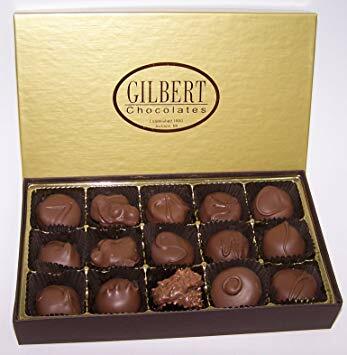 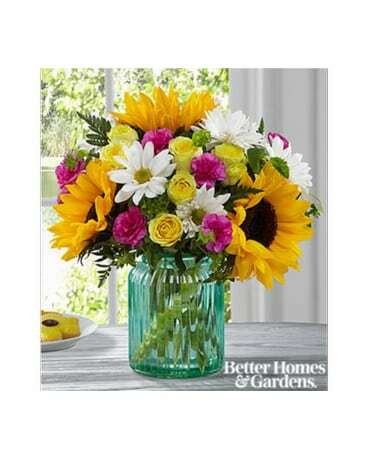 It's a gift that would be sure to brighten any day!